As the province and court system work out exactly what powers the OSPCA should have, city staff warn that if animal control is downloaded to cities, it would mean an increase in calls, staffing and shelter space. City staff say if the province hands responsibility for animal control to municipalities, there would be a significant impact on local resources. As the province and court system work out exactly who handles animal control in the province, City of Hamilton staff say taking on the role would mean increase in calls, staffing and shelter space. A city planning committee report raises the major impact on budget and resources Hamilton would feel if it was charged with protecting animals. A "significant increase" in phone calls from the public. More officers to investigate reports and respond. Cruelty investigation and response training for officers and staff. More administrative and animal care staff. More contractual veterinary services and medical response/investigations. City bylaws will have to be rewritten to cover animal cruelty. The discussion follows a Jan. 2 decision from the Ontario Supreme Court that ruled the powers granted to the OSPCA are unconstitutional because they allow the agency to enforce public laws without "accountability or transparency," according to the report. Describing the OSPCA's powers as "police like," the report goes on to explain the organization is not subject to the Police Services Act, Ombudsman Act or Freedom of Information and Protection of Privacy Acts. "The OSPCA is opaque, insular, unaccountable, and potentially subject to external influence, and as such Ontarians cannot be confident that the laws it enforces will be fairly and impartially administered," the report stated, quoting from the judge's decision. Noting the judge suspended the ruling for one year to allow the province to rewrite its legislation or to create a new system to protect animals, the report adds the OSPCA and Hamilton/Burlington Society for the Prevention of Cruelty to Animals (HBSPCA) have pledged to continue enforcement for the next year. The province has also announced it plans to appeal the court decision, adds the report. The province "downloading" animal welfare protection on municipalities and police is an option, and the report says it will mean a "significant impact" on resources. City staff say they will continue monitoring the situation and report to the city once the province's direction becomes clear. Last year, the OSPCA announced changes to its direction on enforcement, including passing off investigations in some cases to other agencies. The organization's plan to pull out of cruelty investigations for livestock and horses is also part of that "restructuring," the report explains. 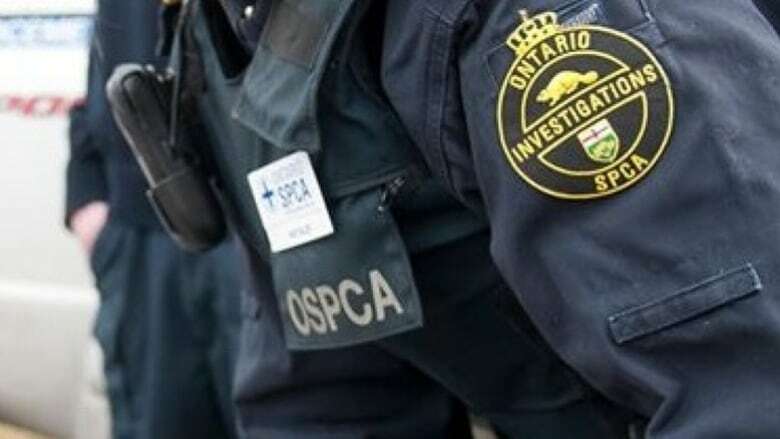 "The OSPCA also advised staff to redirect to the police any cases involving court ordered euthanasia as it conflicts with the agency's mission," it adds. Hamilton police and Hamilton Animal Services currently respond to animal cruelty complaints for the HBSPCA after 4:30 p.m. weekdays and around the clock on weekends and holidays. But, the report states, between January 2017 and March 2018 the HBSPCA responded to 1,407 calls, issued 33 warrants, removed 117 animals and laid nine charges.